Legend says that whomever possesses the St. John talisman ring will find their one true love. 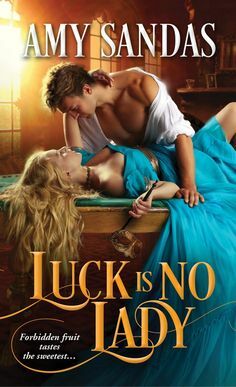 Now that the ring rests in the pocket of renowned scoundrel Brandon St. John, the dashing rake must decide whether it is a blessing…or a curse.Never has the irresistible rogue, Brandon St. John, pursued a woman with more fervor—but his ardent suit of Lady Verena Westforth has a different purpose. The delectable blond lovely is indeed enticing, but Brandon suspects her of hiding a valuable missive that he has sworn to recover. With a sensuous kiss and a passionate caress he intends to lower Verena’s guard…and then discover where she’s hidden “the goods.”Without the missive, Verena stands to lose the one thing dearest to her heart. And now an extraordinary man has entered her life…at the worst possible time! Vulnerable though she may be, Verena vows she will not be just another of Brandon’s “conquests,” even as she aches to melt in his arms. But is he a needed friend or a foe in alluring disguise…and will she be able to prove to him that love is their true destiny? Brandon St John, is one of out five siblings, and as much as he despises it so, he is in possession of the Talisman Ring. Which is quite a legend within his family and has been passed down the generations. Although he refuses to believe in such a legend, which says that whoever is in possession of it shall find true love. Brandon is not eager to find love, settle down or have kids. He is more than ever content as he is. His younger brother Chase, has just bought a special license and Brandon and his other brothers and brother n law endeavor to stop this marriage, believing the one Chase wants to marry is a golddigger. So Brandon goes over to pay a visit to Lady Verena Westforth. Verena, having been alone for four years since her husband passed away, is quite amused by the visit of Brandon. Tempers exchange, since they have both strong personalities. Verena considering Chase no more than a good friend, is outraged that his brother would try to buy her off to never see him again. Verena wanting to play a trick on Brandon and to teach him a lesson, takes his five thousand pound note and comes up with a plan to teach the arrogant St John a lesson or two. With Verena’s brother in town and visiting and knowing that he is being blackmailed, Verena was tempted a little to cash it in, but knowing she can find another way to help her brother comes up with a way to trick Brandon. Brandon when finding out the truth from his brother, that she hadn’t accepted his proposal was amused by Verena’s hairbrained plot. 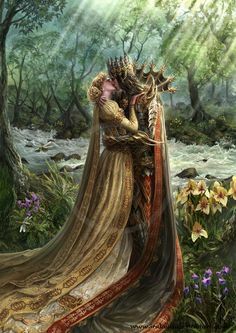 He finds her enchanting, and like no other woman he has ever encountered. When his close friends come to him with a dangerous plot that could endanger many lives, he decides to help him out. Apparently there is this important list and he believes is in Verena’s possession and he must find it or those after it that are very dangerous, will kill many to get it. Thus Verena and Brandon are thrown in together in a dangerous plot that could destroy everything that they love, and they both have much risk. But even though they work together there is also a rising desire that is quite explosive between the two of them. I found that this was quite an amusing, yet intense story, one I thoroughly enjoyed. I found I just fell in love with all characters both main and sub. I found myself either laughing my head off or feel so tense from the suspense of the story. This plot is filled with danger, a mystery that needs to be solved, passion, and a love that will entrance you. I love reading Karen Hawkins, all of her books I have loved reading. This is one that I haven’t read and definitely was one of my favorites of hers. But with all her books, I know I will be drawn into a good plot that will be filled with wit, romance, and an exciting story line with a mystery that keeps you surprised and amused. I know this one was filled with all these aspects and I am definitely glad I picked it up. You can never go wrong with Karen Hawkins.